15 miles from paradise…one man will do anything to tell the world everything. 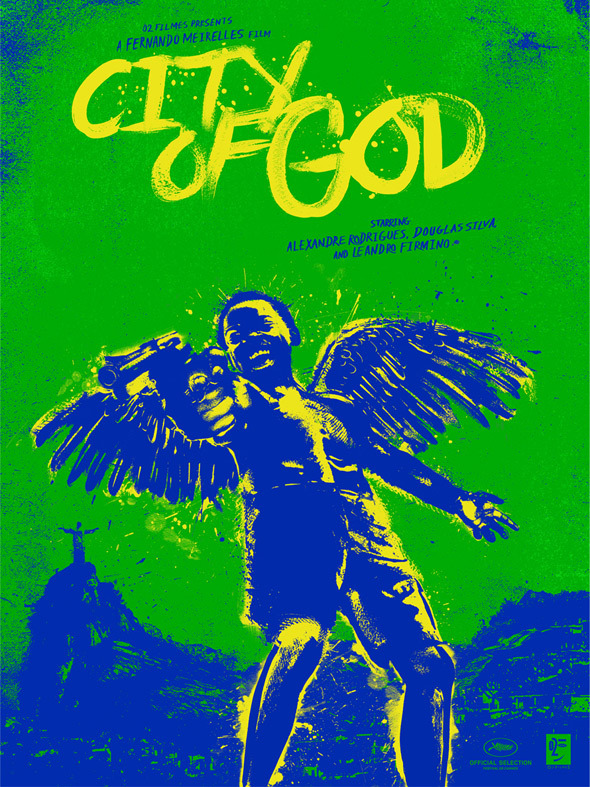 One of the formative films in my early years exploring cinema was City of God, about the impoverished and corrupt reality of Rio de Janeiro, Brazil. 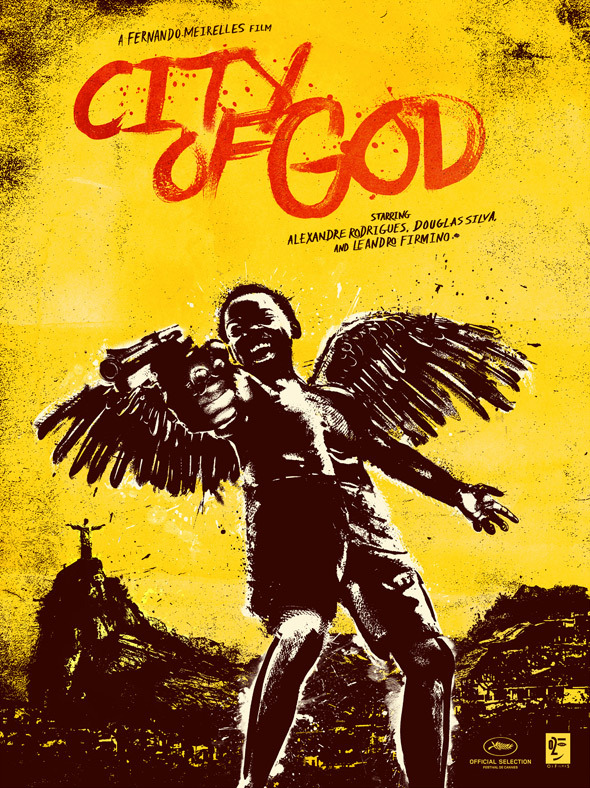 While the film has gone on to much acclaim, a new poster organization has decided to make their first artwork for Fernando Meirelles' City of God, released in 2002. "A business years in the making, FAMP Art was founded to bridge the gap between pop culture art and art house cinema, focusing on films that don’t get much love in the art community but are praised in the world of cinema (and that we ourselves love)." Sounds like they're challenging Mondo and Gallery1988 and I like it, especially debuting with this. "Our goal is to bring together two very different worlds through the glory of awesome and beautiful art…"
Each City of God print above is 18"x24" being sold at $40 for the regular yellow version and $50 for the Brazilian color variant. As described on their official website (where these prints will be solid starting September 3rd): "Based in New York, FAMP Art is a company that specializes in creating officially licensed, limited edition screen printed posters of foreign films, pre-1980s classics and a few random goodies here and there." We're looking forward to seeing what else they're planning to release, which other films are their top priorities, and how they'll differentiate themselves from Mondo and Gallery1988 as time goes on. Cool? Lovely. This film is amazing. This poster is amazing.